A highly effective and durable anti-slip ladder rung cover that will withstand the rigours of all industrial & commercial environments. 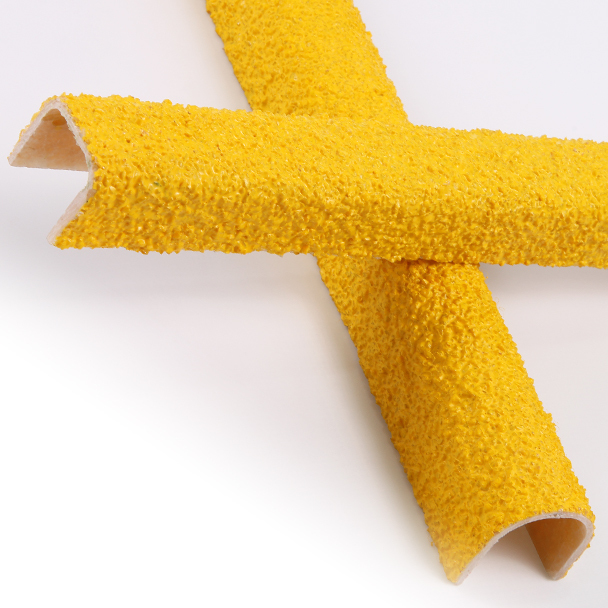 Anti-slip surfaces are durable and long-lasting, providing high levels of slip resistance. Impervious to most environmental conditions, suitable for both internal and external use in and around the workplace. *Minimum order quantities may apply. Please contact us for further information. A nominally 3mm thick, tough GRP profiled cover, coated in a combination of premium quality aluminium oxide & resin components give the Ladder Rung Cover product a highly effective and durable Anti-slip surface that will withstand the rigours of all industrial & commercial environments. 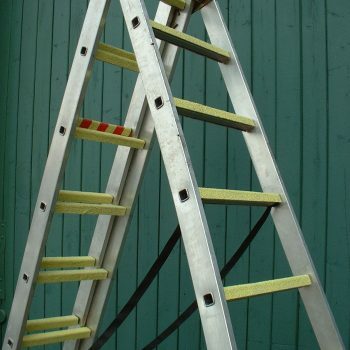 Designed specifically to reduce the risk of slipping on metal, wooden and fibreglass ladder rungs, they are a hard wearing and highly effective solution, especially in wet conditions. The products are fixed using a single part adhesive/sealant that bonds and seals the cover, preventing ingress of moisture. 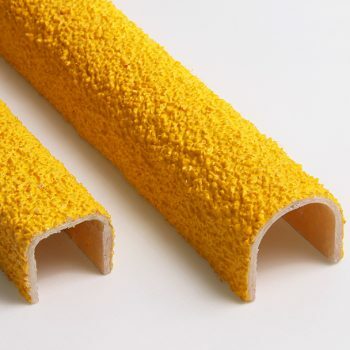 The Ladder Rung Cover profiles may be cut and finished to specified sizes prior to delivery for ease of installation or can be cut on site using a diamond-tipped tool. 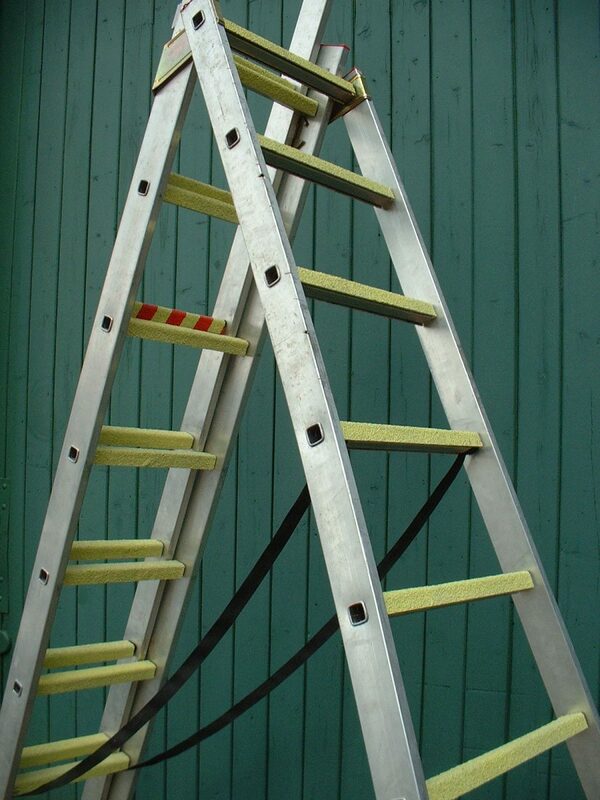 The product range features a choice of two profile shapes with a range of common sizes to suit most industrial ladders. 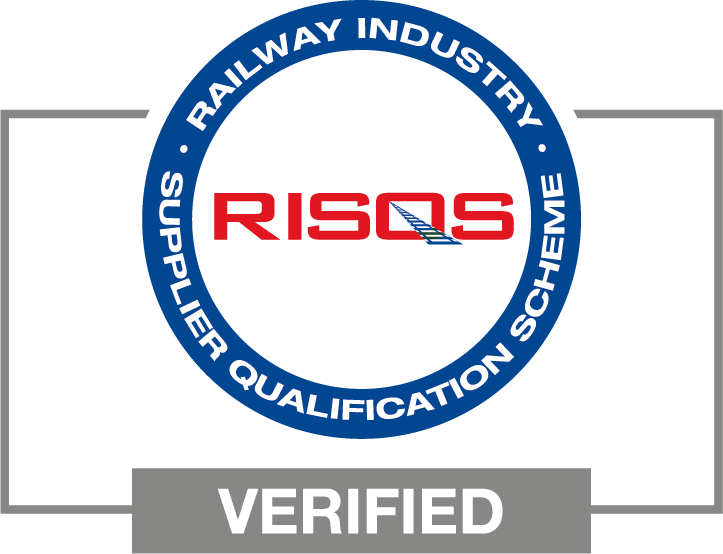 Ladder Rung Covers are a ‘made to order’ bespoke solution available with short lead times direct from our UK manufacturing facilities. Download a PDF containing more information about this product here. Download the full specification for this product here. Download the helpfulp guidelines on how to clean and keep this product in the best condition here. Insight ahead of supply, fabrication and fit of GRP anti-slip stair nosings, tread covers and landing covers in the ice arena.